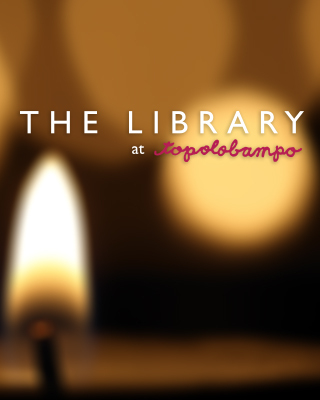 Rick Bayless | XOCO Welcomes Spring! 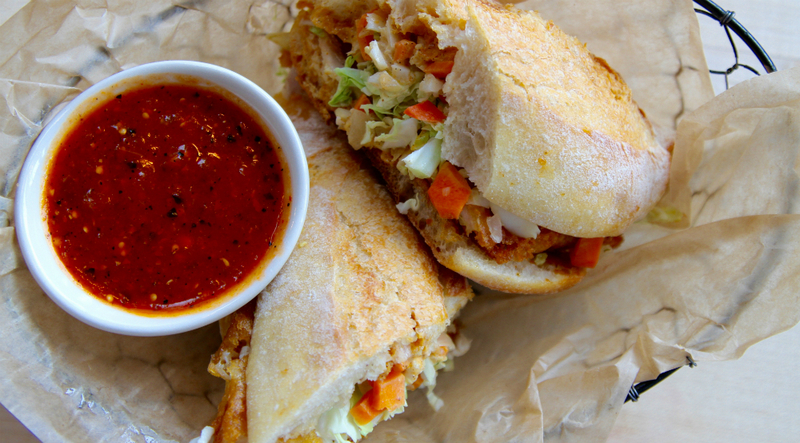 Spicy Crunchy Fish Torta: Beer tempura catfish, spicy morita slaw & chipotle mayo! 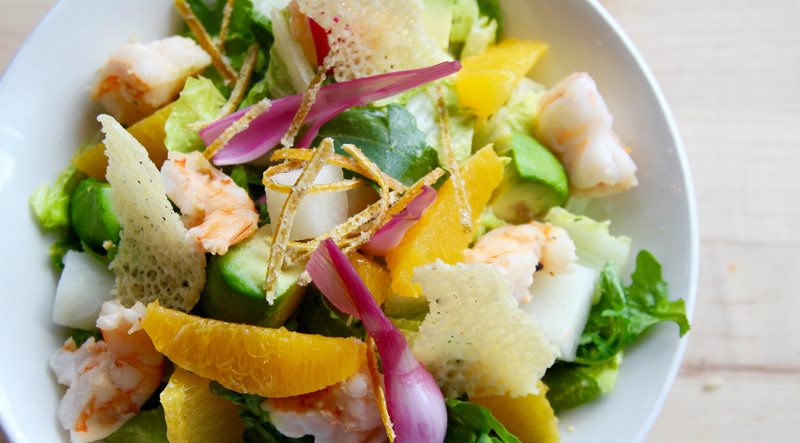 Shrimp Citrus Salad: Inspired by the bright flavors of Yucatán! Hearty Red Chile Vegetable Caldo: Hearty but light and bright! Chef Wendy's 3 Citrus Tart: Sparkling with citrus! 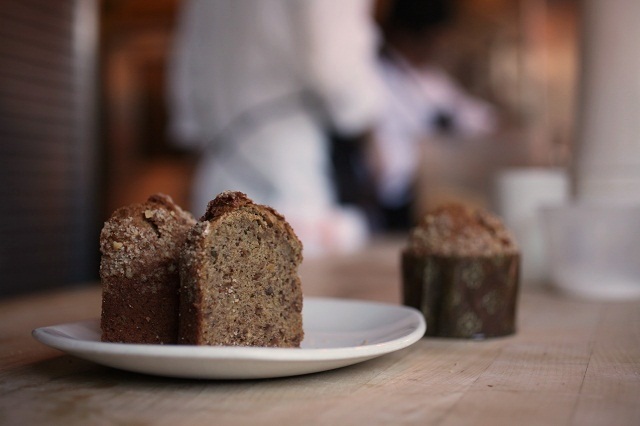 Banana Nut Muffin: with sweet white plantain! When we look through our big windows onto busy Clark Street, we’re starting to see everyone walking with a little more bounce in their step. Everyone’s still wearing jackets, mind you, but the sun is making its triumphant return and the days are getting a bit longer. 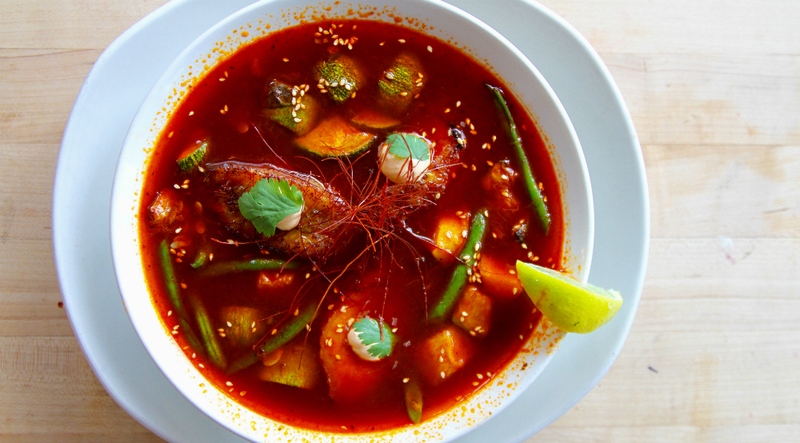 Which is a perfect way to describe the Hearty Red Chile Vegetable Caldo, rich and aromatic with a broth of ancho and guajillo chiles, peppercorns, clove and cumin. It’s filled with Mexican zucchini, butternut, green beans and plantains and topped with dollops of chipotle crema. See? Hearty but light and bright. The new seasonal torta — Negra Modelo-battered catfish with pickled vegetable, morita chiles, Napa cabbage and chipotle mayo — is sure to be a Lenten favorite, while the new Yucatán-inspired salad, overflowing with spicy wood-grilled shrimp, habanero-orange dressing, avocado and jicama, hints at the sunny days ahead. 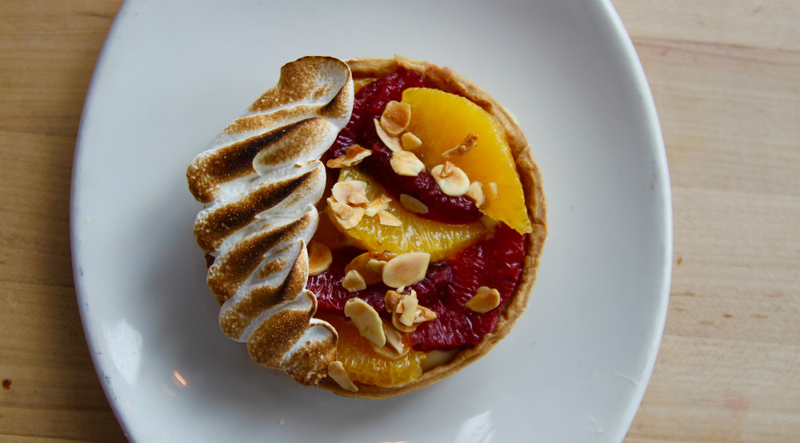 Chef Wendy also has a brand new 3 Citrus Tart for dessert that’s so beautiful you’ll think twice about taking that first bite. But then you’ll realize that’s a crazy thought and you’ll dig in.